I almost made my husband write this post up for TABASCO® Original Red since he is a TRUE LOVER of the brand. And I’m not talking about being an occasional user. I’m saying almost every meal I make… that bottle is on our table for sure. It’s hot. It’s spicy. It adds the kick that Bill dreams of at night and it enhances the flavors that already exist in the dish. If I wrapped up a bottle of TABASCO® Original Red and gave it to my husband for Christmas, I’m pretty sure he would think it was the best present evahhhhhh. So, why fight it? Well, if I’m being honest I used to fight it. I treated Tabasco like it was his mistress. “HER AGAIN!!! Why can’t we eat alone for once?” LOL!!! But then I got over it and started to dabble in the spicy arena myself. 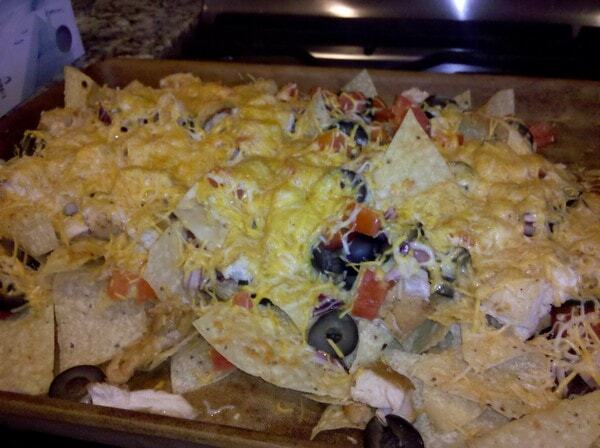 I’ve posted several recipes on Lady and the blog including my nachos and my guacamole. These are the two dishes that Bill LOVES to spice up. I have two small children, so I never spice up the entire dish. My three year old isn’t ready for that kind of action. However, Bill makes sure to kick things up a notch with TABASCO® Original Red whenever he can. Game day is RIGHT around the corner!! Are you planning on throwing a small party for your friends?! I have two great sites for you to check out. Looking for a Game-Day Party Menu? This site has information on how you can spice up drinks, wings and more. If you’re really all about serving a great pizza pie, check out Pizza Perfected — it highlights my absolute FAVORITE pie – Prosciutto & Arugula Pizza. Yum! Yum! And YUM! Now that is an article! Love Tabasco! I use regular tabasco in bloody marys, the smoked tabasco on tacos and the jalapeno tabasco (the green kind) on eggs! I’m an addict too! LOL! I wanted to write that so badly!!!! that is the best commercial ever! !